Our firm has gained recognition as a leading entity that is affianced in Manufacturing and Supplying a wide range ofLiquid Filling Machine and Automatic Capping Machine. The offered machines are manufactured by our engineers as per the industry set norms from quality assured components and sophisticated machinery. Our provided machines are applauded by the clients due to their excellent functioning, rugged design, hassle free functioning, long working life and simple usage. In addition to this, we offer these machines in various specifications at affordable prices. Offering you a complete choice of products which include Liquid Filling Machine such as Semiautomatic Liquid Filling Machine, Automatic Six Head Liquid Filling Machine, Fully Automatic Eight Head Liquid Filling Machine, Liquid Filling Capping Machine Line, Automatic Liquid Filling Machine, Semi Automatic Powder Filling Machine and many more items. 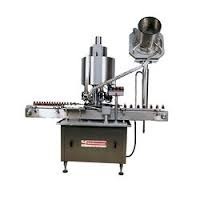 Leading Manufacturer and Supplier of Ropp Capping Machine such as Automatic Four Head Ropp Screw Cap Sealing Machine and Pet Bottle Capping Machine from Ahmedabad. Manufacturer & Supplier of Screw Capping Machine. 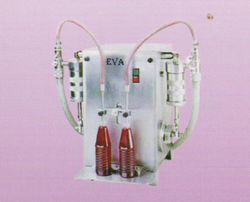 Our product range also comprises of Liquid Filling Machine, Ropp Capping Machine. 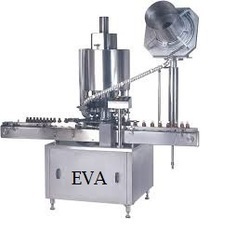 Leading Manufacturer and Supplier from Ahmedabad, our product range includes Automatic Capping Machine such as Bottle Capping Machine, Semi Automatic Capping Machine, Automatic Single Head Bottle ROPP Capping Machine, Automatic Screw Capping Machine, Automatic Eight Head Bottle Capping Machine and Automatic Six Head Capping Machine. 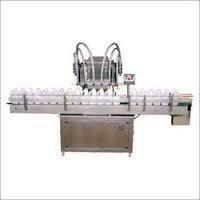 Manufacturer & Supplier of Bottle Capping Machine & Locking and Capping Machine. Our product range also comprises of Liquid Filling Machine, Ropp Capping Machine and Screw Capping Machine. Manufacturer & Supplier of Multi Head Capping Machine. Our product range also comprises of Liquid Filling Machine, Ropp Capping Machine and Screw Capping Machine. 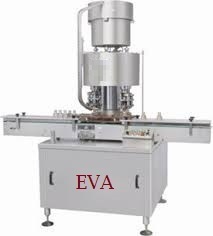 Manufacturer & Supplier of Vial Filling Line. Our product range also comprises of Liquid Filling Machine, Ropp Capping Machine and Screw Capping Machine. 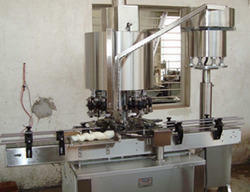 Manufacturer & Supplier of Fully Automatic Liquid Filling Line. Our product range also comprises of Liquid Filling Machine, Ropp Capping Machine and Screw Capping Machine.